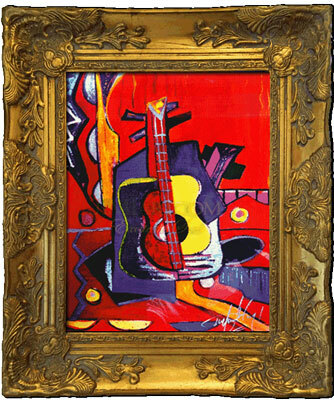 The Guitar : JimiArt!, excite your soul with art! 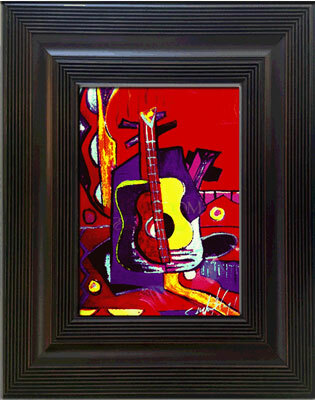 "The Guitar", by artist Jimi-Olu Adeniyi is a classical and contemporary work that draws from abstract styles like Picasso. Music is one of the most powerful ways of communication. 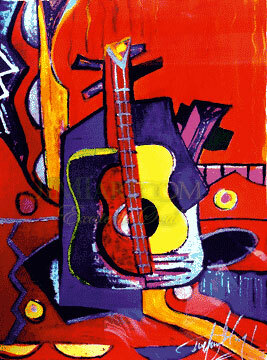 "The Guitar" is music for your eyes.